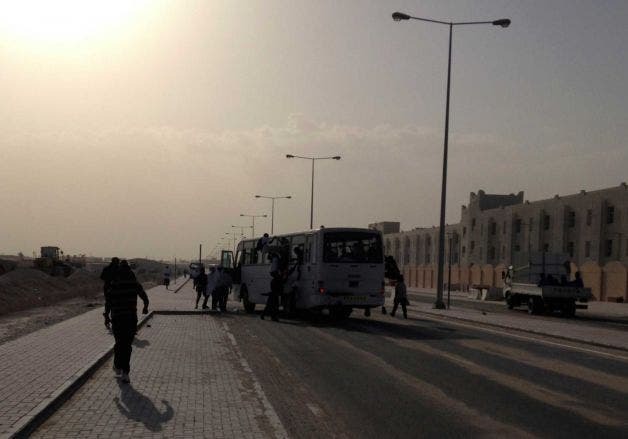 The men grappled with each other to board the quickly filling bus. Others wriggled in through the windows, scaling the outside, using the large wheels as footholds and leaving scuff-marks on the white exterior with their shoes. These weren’t refugees fleeing disaster. 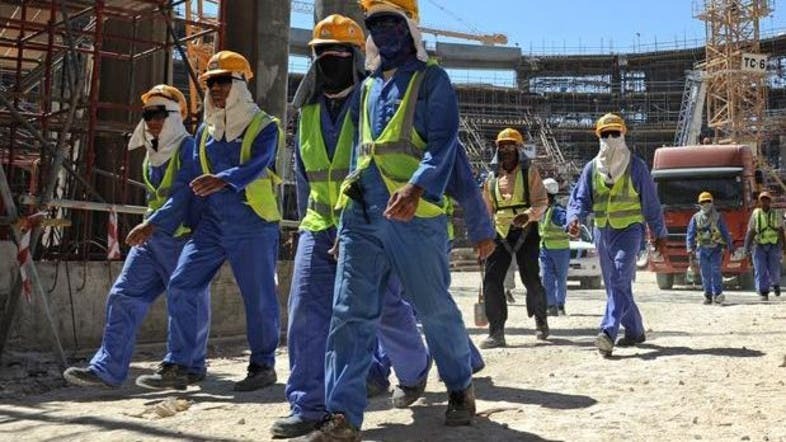 They were migrant workers in 2022 World Cup host Qatar, fighting to earn a few dollars. The job: Pretend to be a sports fan. When the world’s second-richest people per capita can’t find time or be bothered to fill their sports arenas, migrant workers are paid to take their place. Thirty Qatar riyals - equivalent to $8 - won’t buy a beer in the luxury waterside hotel in Doha, the capital, where Qatari movers-and-shakers unwind. 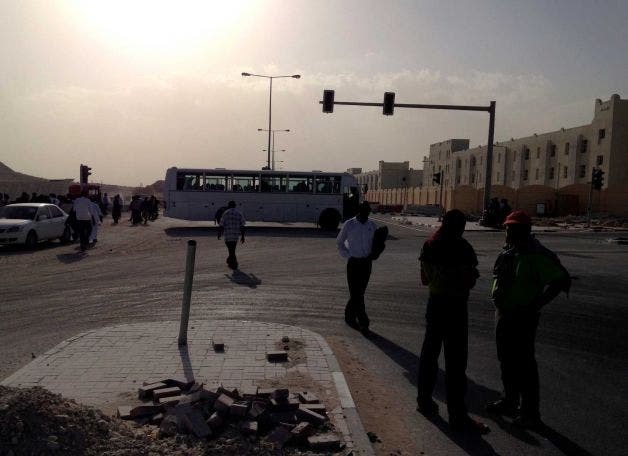 But for this pittance, workers from Africa and Asia sprint under blinding sun in the Doha industrial zone where they’re housed and surround a still-moving bus like bees on honey. 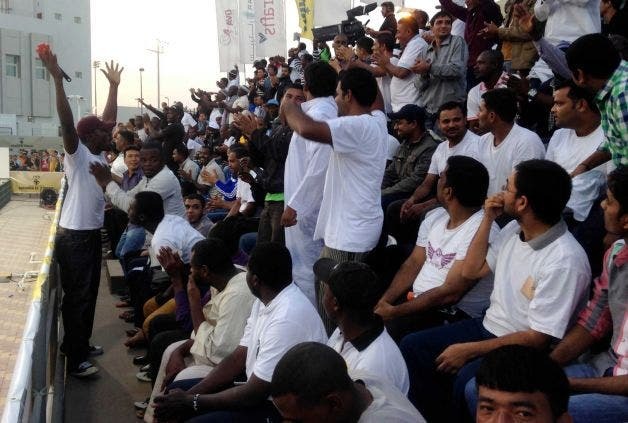 They sit through volleyball, handball and football, applaud to order, do the wave with no enthusiasm and even dress up in white robes and head-scarves as Qataris, to plump up “home” crowds. Someone spotted the first bus far down the street that cuts through the bleak-scape of construction and piled dirt. 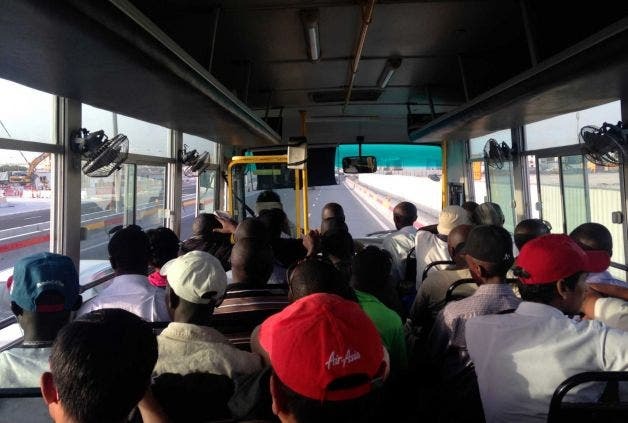 The bus filled instantly. A second and third bus - and more frantic scrambling - followed. One by one, from memory, the men reeled off their employee numbers - no names - to a man who methodically shuffled down the aisle, jotting down the details on a crumpled piece of paper. This ensured he’d later know who to pay, workers said. Ahmed al-Sheebani, executive secretary of the Qatar Volleyball Association, rebuffed the AP’s questions, reaching over to switch off this reporter’s voice recorder. Reached later by phone, FIVB media director Richard Baker thanked the AP for making it aware of the fake fans and said the federation will “seek clarification” from Qatari organizers. “It’s news to us,” he said. “Shaking my body all over ... being in the crowd and shouting and dancing” was great fun for Adu, a trainee bus driver from Ghana who gave just his first name.